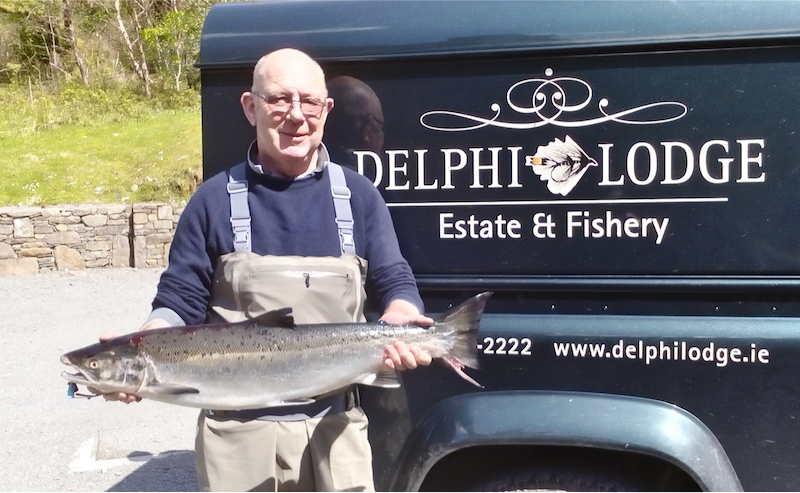 The good run of Spring fish here at Delphi continues, with fish being landed almost every day. 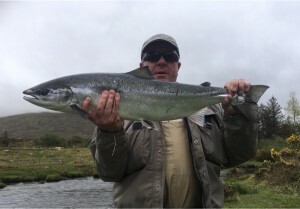 Water conditions have been excellent with the river not falling below 25. Temperatures are still trying to creep up but only slowly. It gets milder one day and then cold the next. We even had a grass min of -2.4 on Friday night. 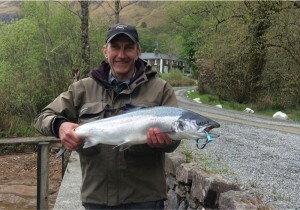 First fish for May was taken by Ralph Dietrich on the 1st, off Finlough of 8lbs3ozs on a Green Highlander. Werner also had two, one of approx. 6.5lbs and the other approx. 7lbs. Both were taken in the Waterfall on a Black and Orange Conehead. There were three on the 2ndwith Dominic Cox having two, one of 10lbs and the other of approx. 8lbs. They were taken in the Horseshoe and Finlough respectively, both on Ally Shrimps. 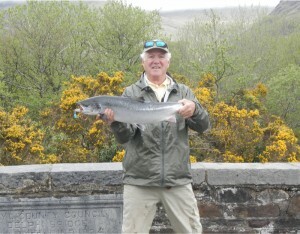 Fredo Dittrich also had a fish off Finlough of 7lbs on a Delphi Collie. Werner had two more, one on the 3rdfrom the Waterfall on a Green Highlander of 10lbs9ozs and one on the 4th, of approx. 9.5lbs, again same pool, same fly. 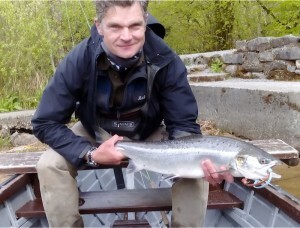 Markus Merz also had a nice fish of 9lbs13ozs off the Stream on Finlough on a Willie Gunn. On the 5ththere was one landed and that fell to Urs, who had made contact with quite a few fish during the week, but none stuck, which is most unusual with Springers. Finally, afish took and stuck in the Rock Pool and Urs having left his net in the car, tried to attract the attention of a passing cyclist by waving and the cyclist duly waved back and kept going, much to Urs’ dismay. 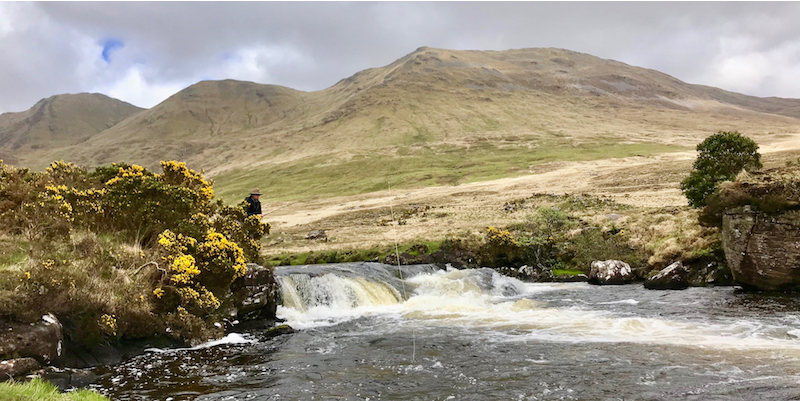 Shortly afterwards Jonathan Clesham who worked as a Ghillie here in his younger days was passing and he immediately recognised an angler in distress, stopped, got the net and proceeded to net the fish for a very happy Urs. The fish weighed in at 10lbs3ozs and was taken on a Delphi Collie. Sunday brought another busy week and a new batch of enthusiastic anglers. First, off the mark was Joseph Martin who had a lovely fish of approx. 10.5lbs in the Whin Pool on a Zonker. This was followed later that evening when I landed a fish of 9lbs13ozs in the Whin Pool on a Delphi Collie. 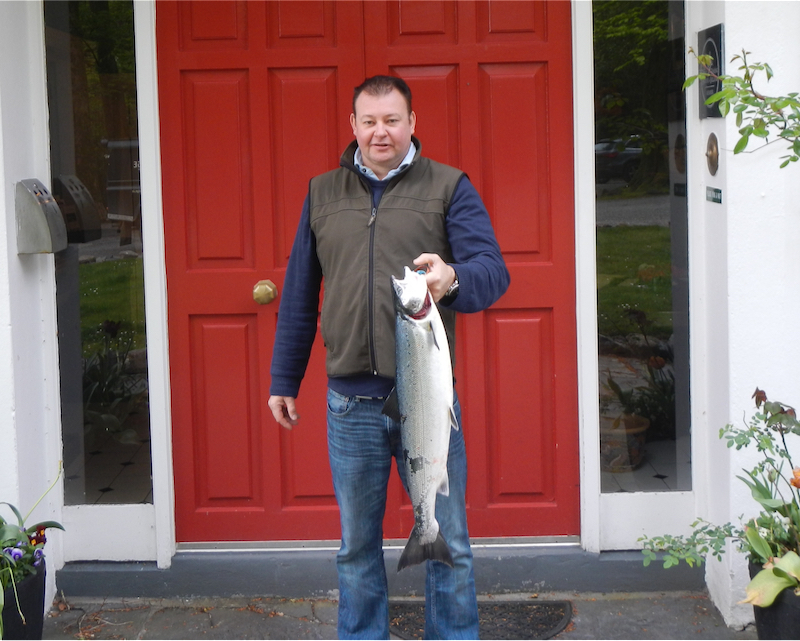 Shortly afterwards Tim Sprakes landed his first ever salmon in the Bridge Pool. The fish weighed in at 8lbs and was taken on a Sunray Shadow. 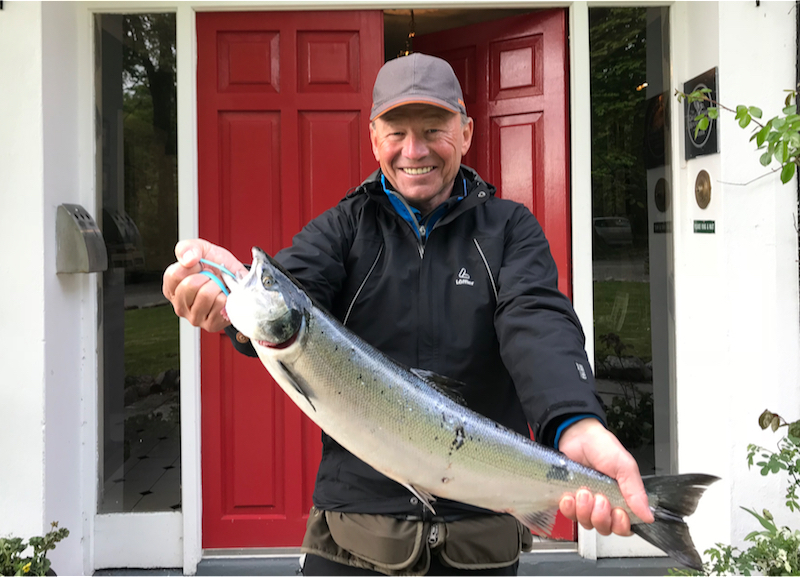 We had nothing on the 7thand then on the 8th, Frank Byrne landed his first ever salmon, weighing in at 5lbs4ozs from the Goat Pool on a Mini Tube. 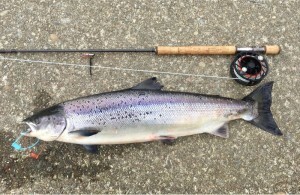 Jakob also had a fish of 7lbs8ozs on Finlough on a Delphi Collie. We had three on the 9th, the first, a first ever taken by Justin Ferran in the Whin Pool on a Cascade, weighing in at 11lbs. 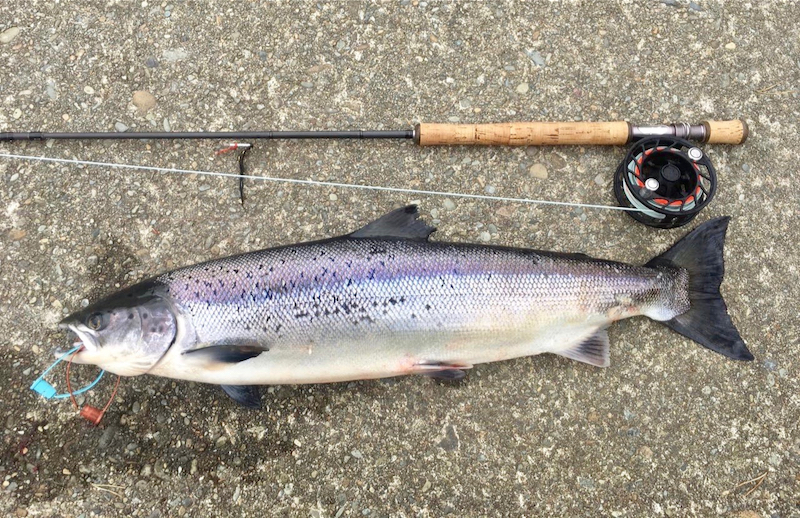 Michael Wade had a nice fish of 8lbs4ozs off Finlough on a Collie Dog and Robert Gillespie finished off the day, with a fish of 8lbs from the Bridge Pool on a Delphi Collie. 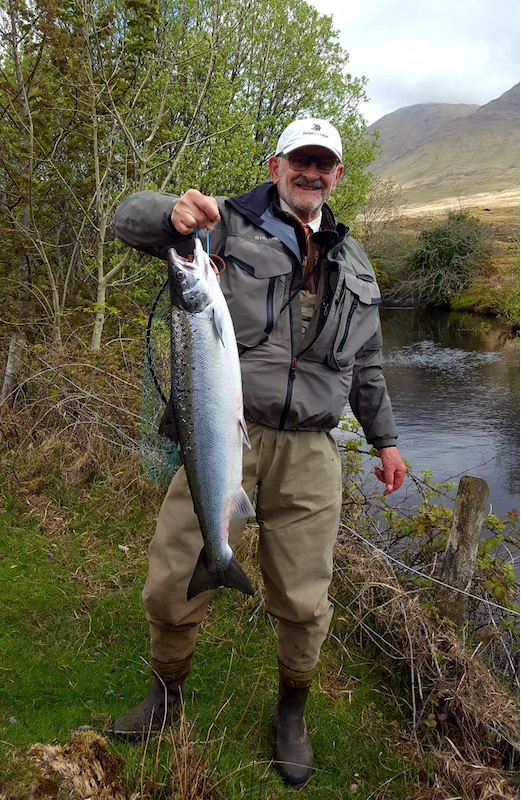 There were four landed on the 10th, with Bernd being first off the mark, with a fish of approx. 7lbs from Morrisons on a Cascade. In the afternoon, Jakob and Josef Bauer had fish a fish each off Finlough, of 9lbs5ozs and 6lbs7ozs respectively, both on Delphi Collie’s. This was Josef’s first ever salmon! Ken Williams also had a good fish of approx. 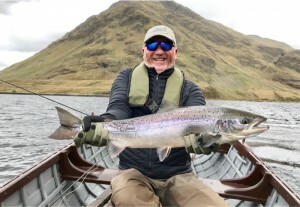 11lbs off Doolough. The following two days despite very good water saw only one landed each day. James Finn had one of 8lbs10ozs in the Whin Pool on a Delphi Collie and Christian Raissle had one of 8lbs2ozs off Finlough on a Silver Wilkinson Tube. Sunday saw the arrival of the week 20 brigade, sadly with the notably execption of John Tappin and co. John was ill recently and unable to travel. John has been here in week 20 for over 25 years now and there are many great memories not all fishing related I might add. All here wish him a speedy recovery and hope to see him back shortly. Water levels are tapering down with the river now at 30. 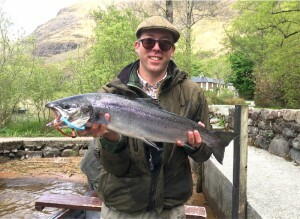 Brendan Wilson landed a lovely fish on Sunday afternoon in the Meadow Pool of approx. 9.5lbs on a Collie Dog. Yesterday was unusual in that we had four, all in the morning and all off the river. Mike Hammes on his first trip to Delphi landed two fish. 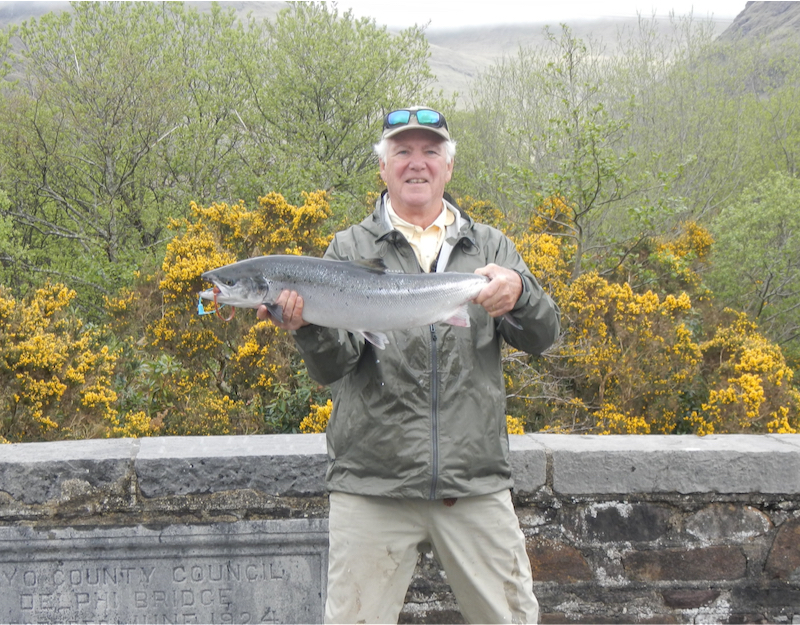 The first was in the Whin Pool on a Cascade and weighed in at approx. 8lbs. 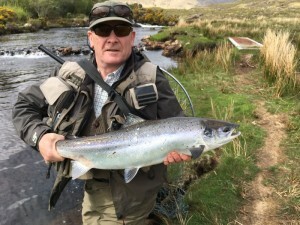 He followed this up shortly afterwards with a fine fish of 11lbs2ozs from the Bridge pool on a Corps Nymph. Mike was in dreamland and was rather happy to say the least! 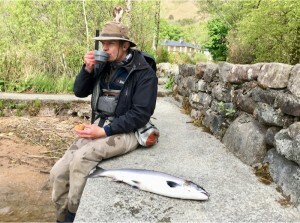 Hugh Brennan then had a fish of approx. 5lbs, also From the Bridge Pool and, also on a Corps Nymph. 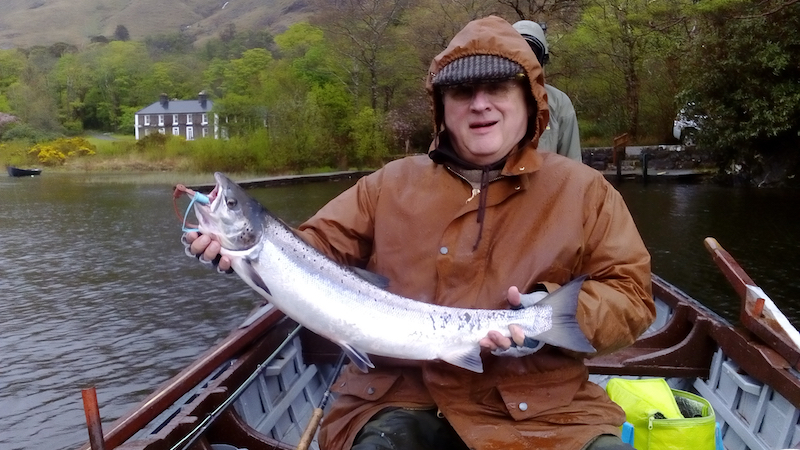 Ian Carroll finished the morning with a nice fish of approx. 10lbs from the Meadow Pool on a Collie Dog. The river is now at 25 and we do have some misty rain this morning which may put it up a little. Having said that all fish landed yesterday were sea liced, so there are fish still running. Total for the year is now 103.